After five grueling rounds of NCAA Tournament action, we are finally down to the final two. Texas Tech and Virginia have each navigated 37-game schedules to get to this point, where the only thing standing between themselves and a National Championship is 40 minutes of action. Here are eight questions I have ahead of the title game. 1) Will Matt Mooney continue his recent hot play? After beginning the NCAA Tournament 11-of-30 from the field in Texas Tech’s first three games, Matt Mooney has found his groove in converting 14 of his last 28 shots. The senior’s hot shooting in the second half against Michigan State is what opened the game up and ultimately allowed the Red Raiders to hang on. Texas Tech is 10-4 when Mooney is held to single-figures and 21-2 when he scores 10 or more points. 2) Will Tariq Owens be at 100 percent tonight? The bouncy Owens collapsed to the ground early in the second half against Michigan State, before eventually returning to the game. Questions loom about his potential swelling and discomfort moving forward, however, which is very important to Texas Tech’s defense as he is one of the nation’s best rim protectors. 3) Will Texas Tech be able to create those key turnovers which lead to easy points? In five NCAA Tournament games, the Red Raiders have forced 12.3 turnovers per game and are averaging 15.2 points off of those miscues. Virginia, however, remains one of the most difficult teams from which to force turnovers. After turning the ball over 15 times in its opening round game against Gardner-Webb, Virginia has coughed up the ball just 5.4 times per game since. 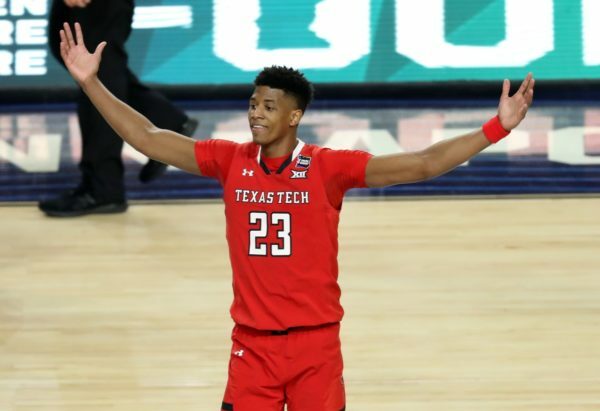 4) Will Jarrett Culver be able to get the best of De’Andre Hunter on the offensive end? Culver, a second-team AP All-American, will almost certainly see a whole lot of De’Andre Hunter tonight. Hunter, a third-team All-American, was the ACC’s Defensive Player of the Year and has a keen ability to play excellent defense while staying away from fouls. While Culver woke up just in time to ice the game against the Spartans, he has gone a mere 25.8 percent from the field over his last two games. 1) Which De’Andre Hunter shows up? In the first half of Virginia’s Final Four game against Auburn, De’Andre Hunter scored five points on 2-of-6 shooting, passively settling for jump shots repeatedly. After halftime, Hunter poured in nine points on a perfect 5-of-5 shooting from the field. A dynamic Hunter opens the floor and lessens the required offensive load on teammates Ty jerome and Kyle Guy. 2) Can Virginia find any production from its bench? Dating back to the Cavaliers’ Sweet Sixteen game against Oregon, Virginia’s bench has scored a grand total of seven points — its bench is -37 in points over that period. Texas Tech’s suffocating defense has been particularly tough on opposing reserves throughout this tournament, having held the benches of Michigan, Gonzaga and Michigan State to a combined 11 points. 3) Will Virginia be able to play Jack Salt? After starting in 28 of Virginia’s 32 games prior to the NCAA Tournament, Salt has been replaced in the starting lineup by Mamadi Diakite in Virginia’s last four games. The 6’10” senior played a big role against the frontcourt size of Purdue, but otherwise his minutes have dramatically shrunk. If Texas Tech goes big with both Tariq Owens and Norense Odiase on the floor at the same time, Salt could see more time this evening. While unassuming in the box score, heis a terrific screener and someone who can help free Ty Jerome and Kyle Guy for open looks. 4) What else could Virginia possibly face in the closing minutes of a game? Virginia has been living on the brink of its season ending in the final seconds of each of its last two games. From the Diakite basket against Purdue to the foul on Kyle Guy against Auburn, good fortune has been on the side of Tony Bennett’s squad. After dealing with the disaster of a season ago, nothing has yet flustered this Cavaliers’ team. With a National Championship on the line, will the trend continue? 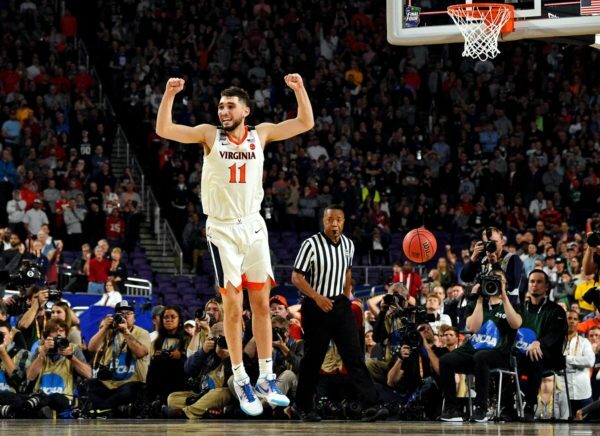 This entry was posted on Monday, April 8th, 2019 at 2:42 pm by Matt Eisenberg	and is filed under 10 questions, 2019 ncaa tournament, feature, Regular Features. Tagged: de'andre hunter, jack salt, jarrett culver, matt mooney, tariq owens, texas tech, virginia. You can follow any responses to this entry through the RSS 2.0 feed. You can leave a response, or trackback from your own site.